Professor Duncan Williams, Chair for the Center for Japanese Studies and Associate Professor of Japanese Buddhism at UCB, greeted Shinnyo-en visitors and all guests with an enthusiastic opening speech that set the tone for the coming three days. Professor Richard Payne, Dean of the Institute of Buddhist Studies, echoed Professor Williams’ words of enthusiasm towards the opening of a gathering of academics from all over the world for the international conference on Japanese Buddhism, and briefly outlined the history of Buddhist Studies at UCB. Bishop Koshin Ogui, of Buddhist Churches of America, toasted the beginning of the conference while over 50 attendees raised bowls of sake in celebration. 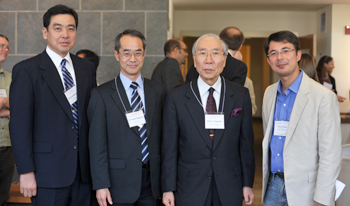 On the same evening, Bishop Nagatsuka, Rev. Sugiyama, Rev. Matsunaga, Rev. 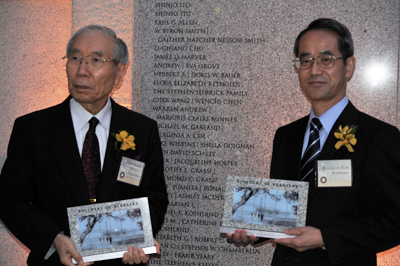 Kasai, Haru Inouye and Shinnyo-en Foundation staff attended an event commemorating the unveiling of the new names on the Builders Wall at the Doe Library. The Berkeley Student Chorus opened the event on a warm and welcome note. The unveiling of the names of the most recent honorees engraved on the Builders Wall was the highlight of the evening. 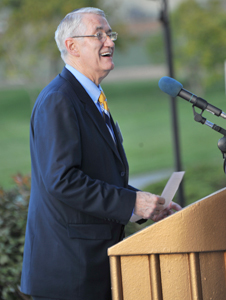 Hosts, UC Berkeley Chancellor Robert Birgeneau and Chair of the UC Berkeley Foundation, Katherine Lau, thanked the many visionaries that helped make UCB a prominent and important University in the world. e Order, Her Holiness Archbishop Shinso Ito to commemorate the significant contributions made by Shinnyo-en to the Buddhist program, Peace and Conflict Studies, as well as to the CalCorps program. 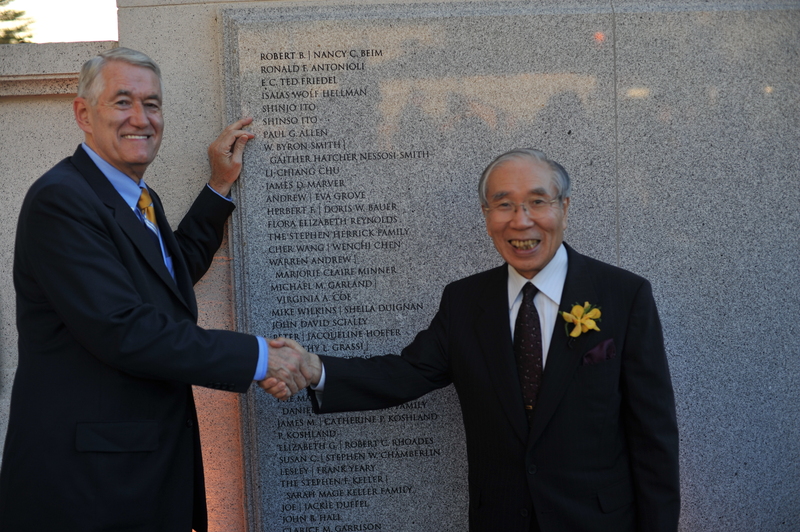 The names of Shinjo Ito and Shinso Ito engraved on the beautiful marble walls at the Builders of Berkeley Wall were admired by all in attendance. 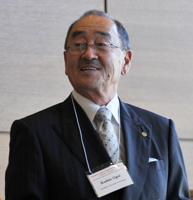 Shinnyo-en represented the sole supporter of Japanese and Buddhist Studies among 30 new Builders of Berkeley honored by the University this year.